Origin: Canadian hash connoisseur, “Bubble Man,” is accredited with the creation of the bubble hash making process as well as the term itself. There is much speculation as to the origins of the “bubble” in bubble hash. Some claim that it is so named because of the way it reacts when exposed to an open flame. Beneath the heat of a lighter or torch, the hash will bubble like magma. While this idea does make perfect sense, a more scientific claim is accredited to the structure of the trichome, or tiny cannabinoid resin glands visible to the naked eye as a coat of glitter on the buds. 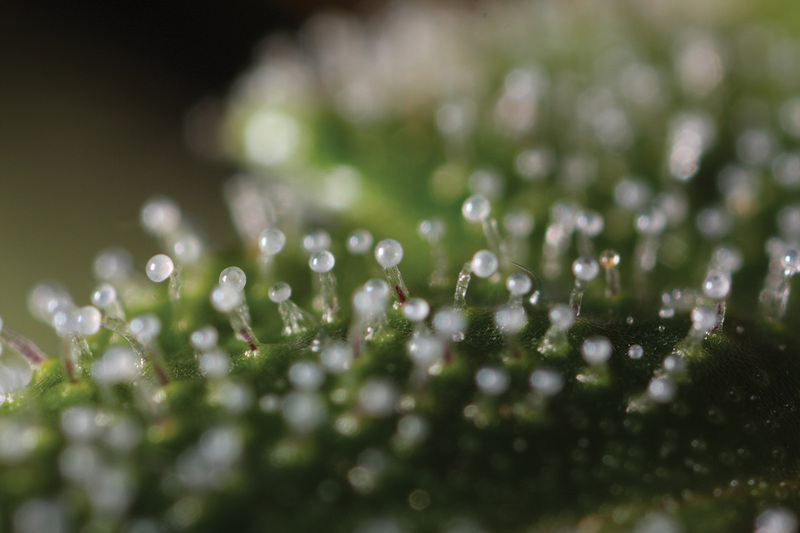 When magnified, one can see that these glistening trichomes are built like little mushrooms, with a long stalk and a perfect gooey bubble on top. 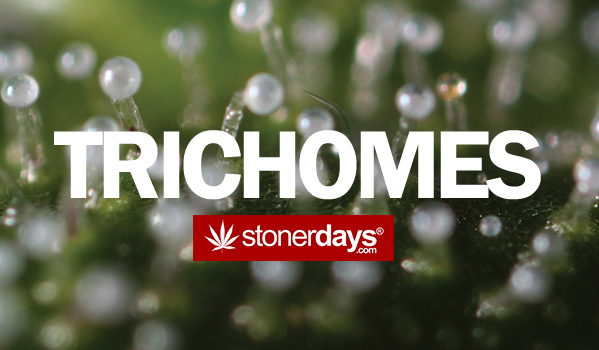 Plants that are lower in cannabinoids will have trichomes that are flush with the buds and leaves, but the mushroom structure is definitely more desirable amongst growers and smokers as it is a reflection of high THC and CBD content. Because the process of making bubble hash is separating these trichomes from the plant, it makes the most sense that the name bubble comes from these cute little glands. Hash making goes far back in recorded history and like most things on this little blue planet, it too has evolved. Hash makers all over the world practice their craft with pride and a sense of livelihood. From the Choking Red hash of Russia to the Black hash of South Africa, every hash maker boasts that their product is the best in the land. Some artisans of this timeless skill even claim to make the best hash the world over. But when a man named Sam discovered that the tiny, THC stuffed resin glands sank in cold water, the world of hash making changed forever. Cold water resin extraction provides a purer and organic result than traditional methods that typically use butane and is only trumped in cannabinoid content by hash oil extraction using alcohol and other chemical solvents, making it a much more desirable method of production. Bubble Man (no I’m not talking about the Japanese soft drink) made a name for himself by developing a very successful bubble hash making kit that anyone can use. 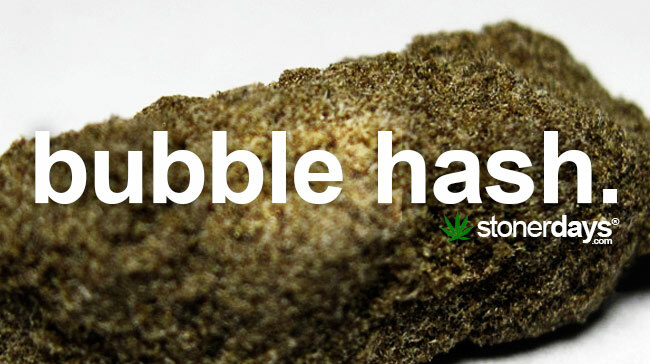 With a THC percentage that can be as high as 75%, bubble hash is one of the most efficient ways to get high. While concentrates will often cost you a pretty penny at the dispensary, you also have to smoke less of it to get high and unless you have an abnormally high tolerance, it will last you a lot longer. In addition to launching you into space, it is also less harmful as the hash making process removes the plant matter which, when burned, is what contains the carcinogens that can be harmful to your mouth, throat and lungs. Just remember, concentrates are for the seasoned smoker and if you are novice wanting to try them, make sure you don’t have any impending plans or tasks ’cause this stuff will knock you out. Many bubble hash making kits are available everywhere and these kits make it easy for the home hash maker to whip up a batch of some primo bubble hash that will bubble in your bong and your brain.